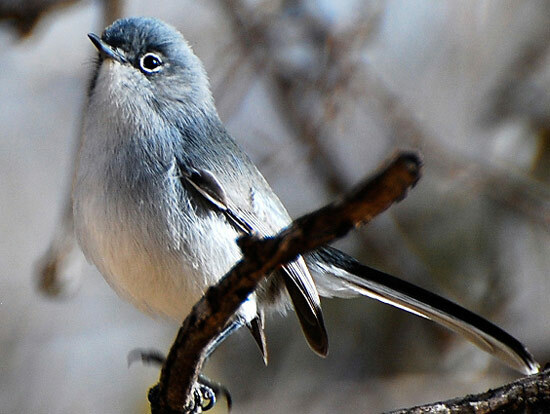 Black-capped Gnatcatcher: Resident of western Mexico, rare breeder in southeastern Arizona, recently documented breeding in extreme southwestern New Mexico. 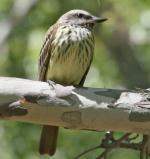 Because of its small size, they are usually difficult to see unless a male is singing. Even with that, their voice is so thin, that it is beyond the audible range of many people. Males acquire their distinctive partial black caps in February. The Black-capped Gnatcatcher is a recent addition to the United States. It was discovered nesting in Patagonia, Arizona in 1971. The Black-capped Gnatcatcher is a small songbird which breeds in the woodlands of western and northwestern Mexico. It can at times be found in southern Arizona as well, especially during the summer months. 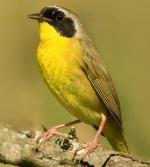 This species is largely non-migratory, and tends to stay in or near its breeding grounds all year long. They are foragers, feeding on insects on land or in air. Male Black-capped Gnatcatchers display a noticeable black cap above the characteristic blue-gray body, and these birds look much like the California Gnatcatcher and Black-tailed Gnatcatcher. The Black-capped Gnatcatcher currently has a conservation rating of Least Concern, as populations are either stable or increasing over recent years.